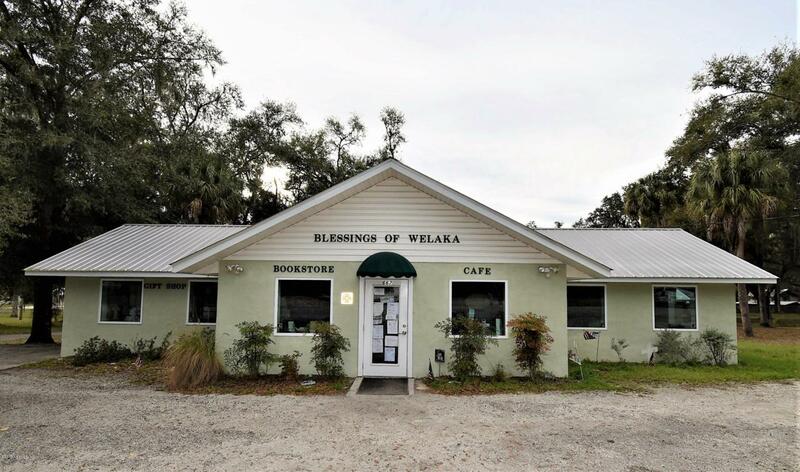 Business Opportunity, Building and Vacant Lot currently being offered in the Town of Welaka, FL. This business and building built in 2004 has been operated by the same family since inception. Currently operating ''Blessings'' which is a small coffee shop, cafe and gift shop. This very well maintained building is the perfect place to continue this business or start your own with opportunity to expand on the additional commercial lot. Come take a look at the recreational aspect of the location with the St Johns River in close proximity.